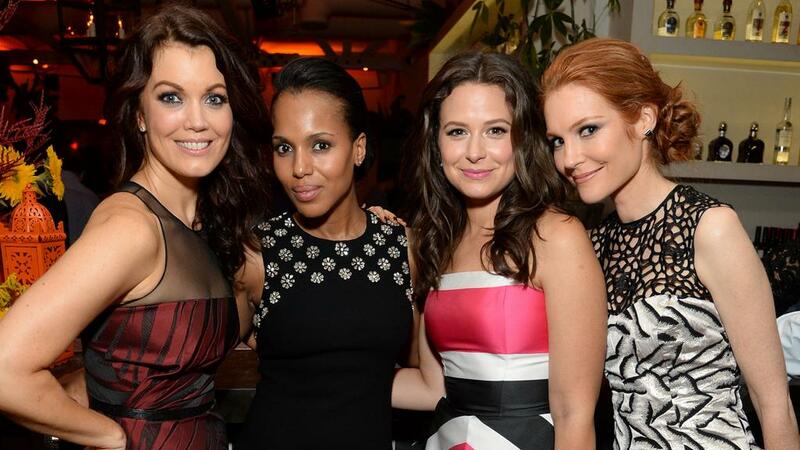 Above: The women of “Scandal” prove that next to every great man is an equally great woman. Stock Photo. Following a long road of playing the sidekick or the love interest, women are finally taking the lead on popular television shows. Following award-winning roles in “Seinfeld” and “The New Adventures of Old Christine,” Julia Louis-Dreyfus is making yet another star-turn and winning awards as Selina Meyer in the HBO comedy “Veep.” In the first two seasons of the show, Meyer was the Vice President of the United States. After the president resigns in the third season, Meyer takes the reins as President of the United States. Now starring in her fourth season of “American Horror Story,” Jessica Lange is continuing to have a starring role among an ensemble cast. The third season of the show, “Coven,” was perhaps her fiercest role as the supreme witch, Fiona Goode. The third season was especially important for the show, as seven of the nine main starring roles were female. Thursday nights have become known as “Shondaland” on ABC, as showrunner Shonda Rhimes has three shows with strong female leads in a row. The latter two shows, “Scandal” and “How to Get Away with Murder,” have black women in the lead roles. Kerry Washington stars as Olivia Pope, Washington DC’s best “fixer,” and Viola Davis stars as Annalise Keating, a law professor at a prestigious university, respectively. Playing the “Mother of Dragons” on “Game of Thrones” is quite a role for Emilia Clarke. In the show’s fourth season, her character runs not only an entire army, but also a small army of dragons. In the 2013-2014 television season, only 27 percent of the creative work behind the cameras for television was done by women. Men still dominate this field not only on the creative side, but also on the acting side, as only 42 percent of speaking characters are female. With numbers from the Nielsen ratings showing that Americans watch television an average of 34 hours a week, it is clear that women are being misrepresented. Television shows are working their way towards stronger female leading roles, but there is still a lot of work that needs to be done in the future.